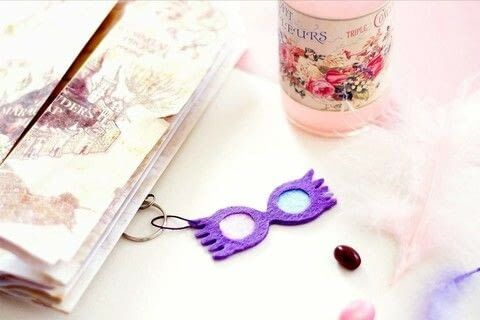 Luna Lovegood's glasses as a keyring ! How to make a Luna Lovegood keyring with some felt coupons ! 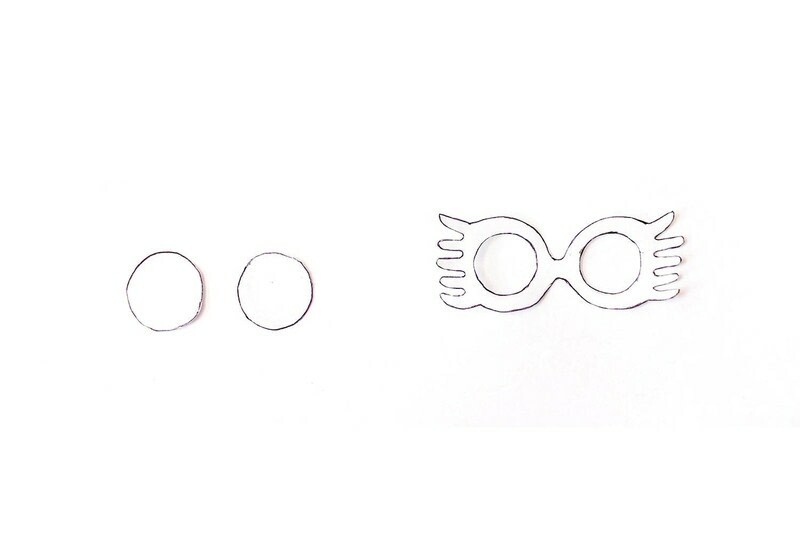 Start by drawing the Luna Lovegood glasses on your paper. Draw two circles a little bigger next to the glasses. 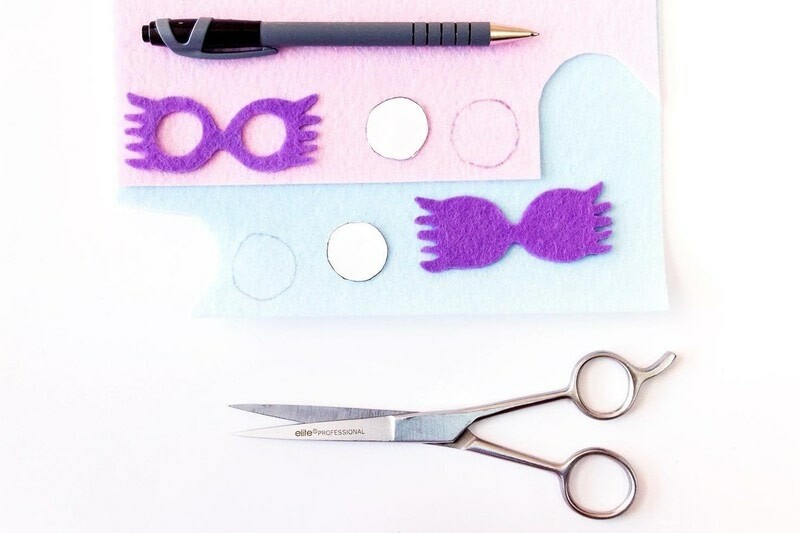 When you are satisfied with your drawings, cut them out. 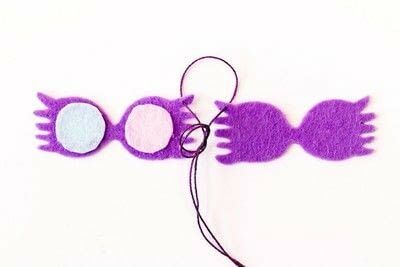 Repeat the drawing of the glasses on the purple felt twice (this will be the back and the front of the glasses). 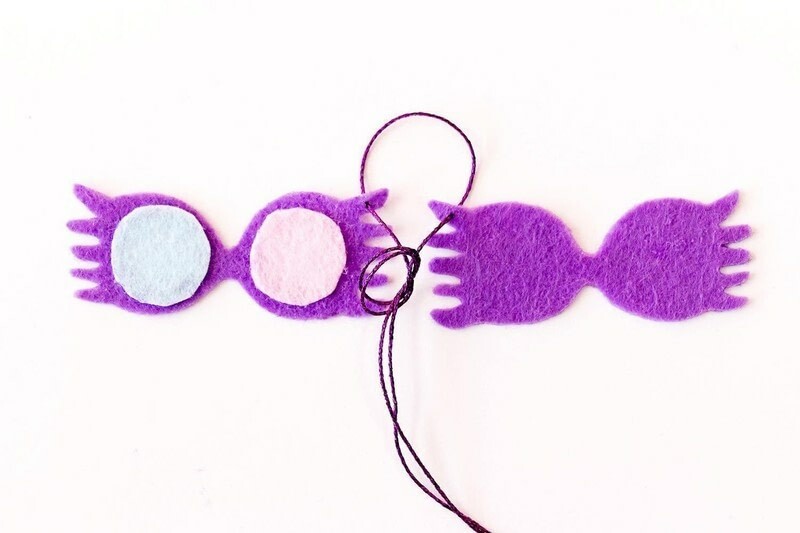 Then, repeat a circle on the blue felt, and a circle on the pink felt. Cut out all these elements. You can now stick the circles on one of the faces of the glasses. Put the purple thread in a needle, and pass it in each face of the glasses, so that you can make a knot inside. 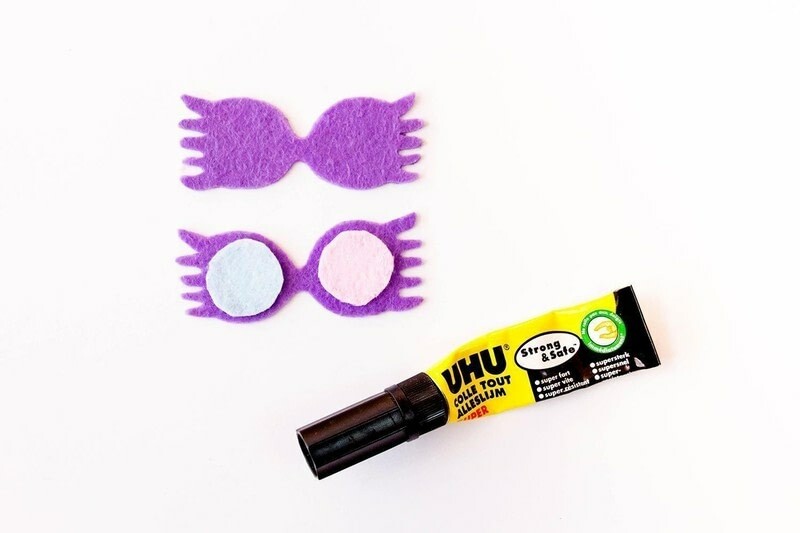 Finally, glue the two faces together (by putting the knot inside, it will be invisible). 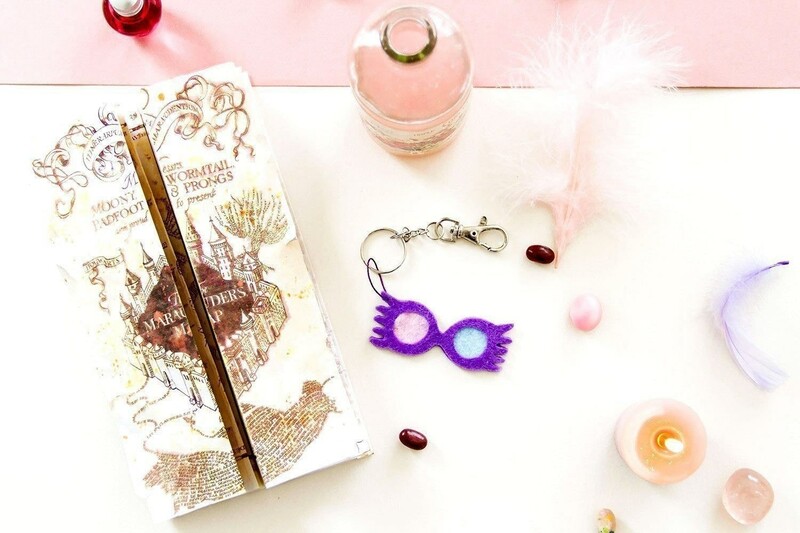 Pass the loop of the purple thread in a keychain, and your Luna Lovegood keychain is ready !